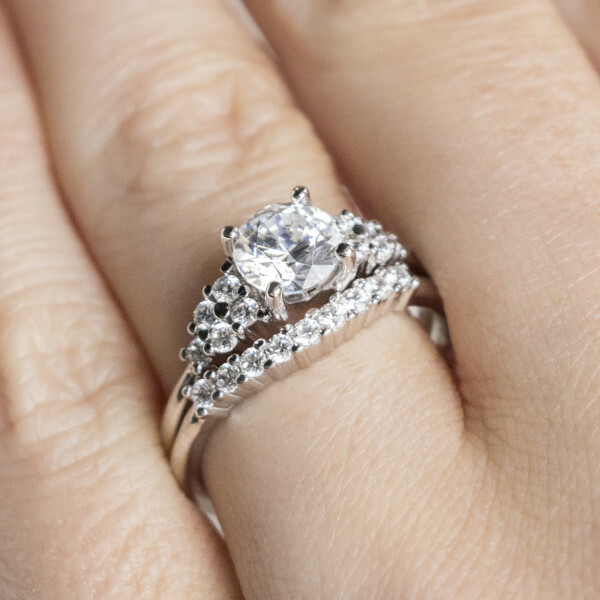 This wedding band was designed to fit comfortably alongside the Plumeria engagemnet ring. 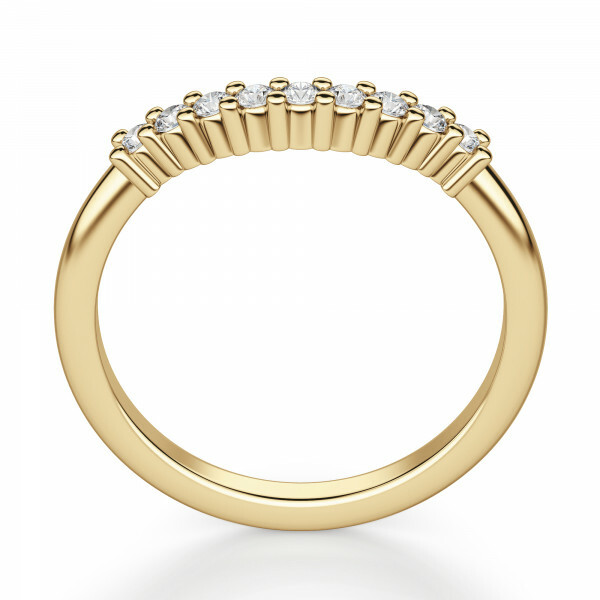 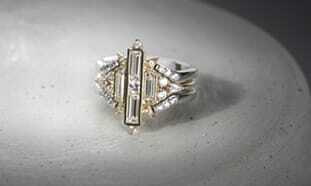 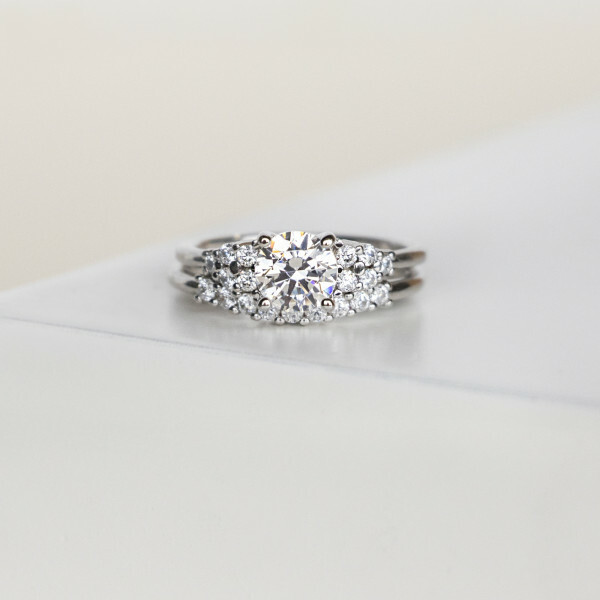 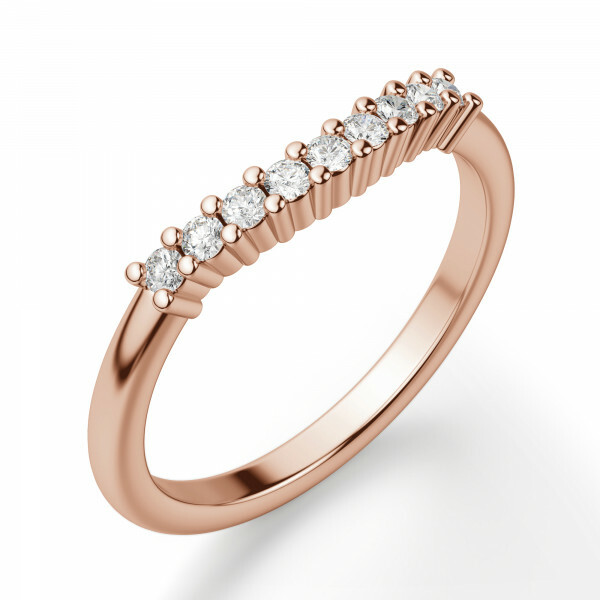 The slight curve of the band allows it to swoop around the clustered accent stones set on the engagement ring. 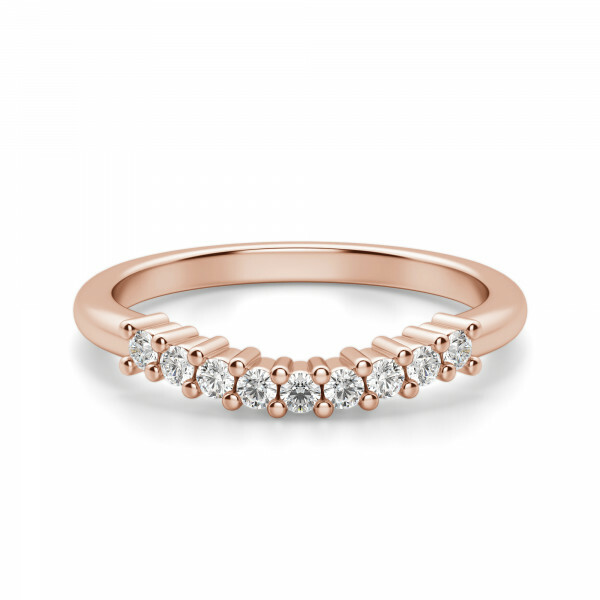 For an extra glam look, stack a band on each side.